Shirts With Random Triangles: BYU QB Taysom Hill Returning To BYU For 2016 Season. 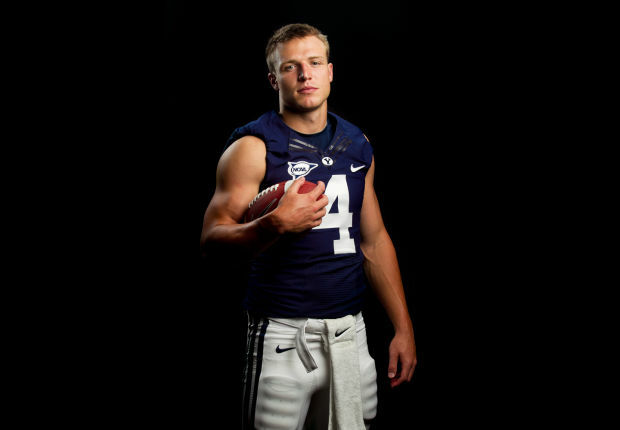 Hill has had three of his four seasons at BYU cut short due to injuries. He suffered a season-ending injury to his Lisfranc fracture in his foot during the Cougars' 2015 season opener against Nebraska. Freshman QB Tanner Magnum replaced Hill in the BYU-Nebraska, leading the Cougars to a 33-28 win over the Cornhuskers. The Cougars went on to a 9-4 season, with wins over Boise State, East Carolina and Cincinnati. BYU lost to Utah in the 2015 Las Vegas Bowl 35-28. With Hill returning, a battle with Magnum for the BYU starting QB role for the 2016 season is pretty much in the cards. Naming the Cougars' starting QB for 2016 will be one of the first major decisions for first-year BYU head coach Kalani Sitake.